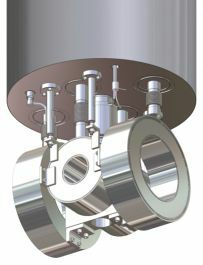 Cryogenic vector magnet systems allow precise alignment of the magnetic field to an exact direction in a measurement sample. The system provides the capability of orienting the magnetic field to any vector direction. This is suitable for experiments where samples cannot be moved easily. In many areas of research not only is the magnitude of magnetic field important but also its direction relative to the sample under investigation. A common means to achieve this relative variation in field direction is to physically rotate the sample with respect to a fixed field vector. 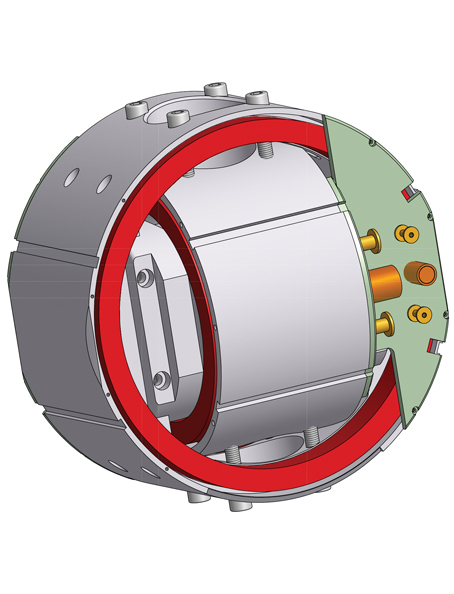 However, mechanical rotation unavoidably suffers from various issues. Rotation mechanisms can be complex especially if rotation in all directions is required. Often continuous rotation of the sample is not possible if there are electrical connections to the sample and for ultra-low temperatures the frictional losses inherent with a mechanical device can cause unwanted heat dissipation and sample warming. One solution to the problems of mechanical sample rotation is to employ a rotatable magnetic field vector. The field vector is generated using a combination of two or three separate magnets with orthogonal field directions. The magnets are energised using separate power supplies and a custom software suite is used to generate a smooth and continuous vector field rotation. 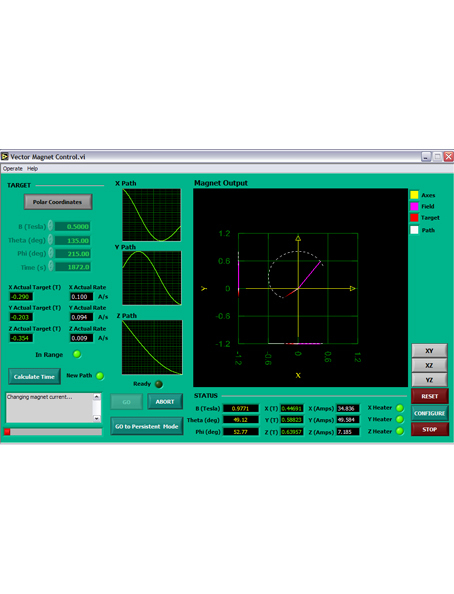 A key benefit of vector magnet technology is that the user can observe the influence of field direction on any sample; independent of how complex the connections are to the sample without moving the sample and without heat dissipation caused by mechanical movement. Magnetic fields of up to 14 Tesla for the main azimuthal axis and up to 5 Tesla on orthogonal axes are available with cryogen-free or liquid helium based systems. Two orthogonal split pair magnets allowing access to the field centre from two directions, with rotation of the field vector in one plane. One solenoid and two split pairs or three split pairs allowing rotation of the field in any orientation and sample axes along the three axes. 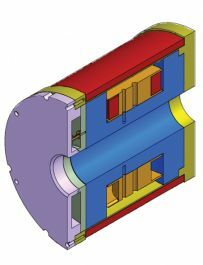 We offer 1.5 Tesla field split pair superconducting magnets in the X and Y planes and a 1.5 Tesla solenoid in the Z direction. The vertical sample access is 56 mm for a vertical VTI which can be top-loaded into the Cryostat. • Cooled using liquid helium or cryogen-free (CF) technology. • Compatible with our Cryogenic Ltd. variable temperature inserts, 3He inserts and dilution refrigerators. • Operated by separate power supplies for each magnet. • Energised using specially developed software which allows simultaneous ramp of the coils and full 2D/3D field vector rotation in plane or sphere. • Operate in swept current or persistent mode. • Available with both cold bore or room temperature bore.